GMA Network’s Board of Directors approved the declaration of cash dividends totaling P2.187 billion or P0.45 per share, during a meeting held at the GMA Network Center on March 29. 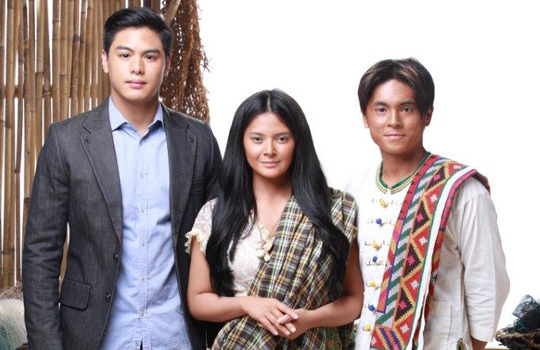 Migo Adecer, Bianca Umali, and Miguel Tanfelix are the main stars of 'Sahaya,' one of the top rating programs of GMA Network for the month of March. The dividend will be paid on May 14, 2019 to shareholders of record as of April 22, 2019. The Network has declared total dividend per share and total dividends amounting to P5.26 and P24.933 billion, respectively, from 2008 to 2019. GMA Network has consistently declared cash dividends each year since its IPO launch in 2007 and has been paying out cash dividends equivalent to almost 100 percent of the Company’s net income every year. In terms of rating performance, the Kapuso Network is still the viewers’ station of choice based on the latest data from the industry’s widely-trusted rating service provider Nielsen TV Audience Measurement. GMA registered an average total day people audience share of 36.4 percent in the National Urban Television Audience Measurement (NUTAM) for partial March (March 1 to 27; with March 24 to 27 based on overnight data), which outscored ABS-CBN’s 35.5 percent. In the morning block, the network posted a 32 percent people audience share, versus rival’s 29.2 percent. GMA also maintained its lead in the evening block, including primetime, with 38.4 percent as against ABS-CBN’s 37.1 percent. Similarly, the Kapuso Network continued to dominate in its bailiwicks Urban Luzon and Mega Manila, which respectively account for 72 and 60 percent of all urban viewers in the country. GMA got an average total day people audience share of 39.8 percent in Urban Luzon, compared to ABS-CBN’s 30 percent. In Mega Manila, based on official data from March 1 to 23, the Network kept its winning streak with an average total day people audience share of 41.6 percent, versus competition’s 27.1 percent. Furthermore, Kapuso shows also ruled the list of NUTAM’s overall top-rating programs for partial March with Kapuso Mo, Jessica Soho (KMJS) remaining unbeatable in the number one spot. KMJS was followed by Onanay, Magpakailanman, Daddy’s Gurl, Sahaya, Kara Mia, 24 Oras, Pepito Manaloto, and Studio 7. Completing the list were Daig Kayo ng Lola Ko, TODA One I Love, Amazing Earth, Asawa Ko Karibal Ko, Bubble Gang, Kapuso Movie Night, Eat Bulaga, 24 Oras Weekend, and Wowowin. GMA dominated both Urban Luzon and Mega Manila lists as well, taking 8 and 9 spots out of the top 10 programs, respectively.